QA Protech Damp Proof 3mm Wood Underlay is a dense closed cell polyethylene foam underlay laminated on one side with a full 1000 gauge damp-proof membrane, overlap and self adhesive strip. QA Protech is designed for laminate, engineered and solid wood; domestic installations. Being dust free means its cleaner and easier to install, with less clearing up needed afterwards. Thanks to good thermal insulation this is an underlay that not only keeps your room moisture-free, but also helps it feel warmer. The 22dB impact noise reduction rating will help to reduce impact noise on wood/laminate floors. The closed cell polyethylene foam that ProTech is made from is 100% recyclable, and so kinder to the environment in the long run. Ultimate Protection – a full 1000 gauge damp-proof membrane, plus a joint sealing system to keep your room dry as a bone. Shhh! Quiet – exceptional impact and sound insulation (22dB) which makes a real difference to noise levels. Lightweight – the lightweight polyethylene material means ProTechs not only a breeze to lift and move around, but also quick and easy to cut and install saving time and effort during installation. QA Performax Underlays are designed for those wanting specialist, contract or high performance at great value prices. With added-value technical benefits such as thermal insulation, vapour barrier lamination, acoustic management, high traffic resilience and underfloor heating enhancement. QA Protech Damp Proof is one of those such products. This underlay is ideal for impact sound reduction, especially in settings with a risk of moisture rising up from the subfloor. 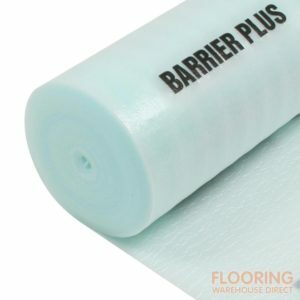 This underlay is also ideal for concrete sub-floors, with its built in closed cell damp proof membrane.